Rising Tide Keeps Rising – Despite a rocky start to the 2014-15 campaign, the Ivy League is poised to set more records in terms of league quality. Currently, the league sits at No. 13 both in the Pomeroy Ratings and the Massey Composite Ratings, a broad survey of all of the different ranking systems available for college basketball. The Ivies have also cracked .500 in their average Pythagorean Winning Percentage, which means that if all of the league’s teams played a national average team on a neutral floor, the league would be expected to finish with better than four wins for the first time in the modern era. Finally, both Harvard and Yale are sitting in the top 60 of the RPI and if both could post an 11-3 or better finish in Ivy play, each would finish in the top 50, marking only the second time in the modern era that two Ivies finished that high (2011: Harvard and Princeton). A Month To Remember – While some disappointing defeats have likely postponed #2BidIvy for another season, one-bid leagues are more often defined by their best days than their worst — and there were plenty of “bests” in December. Yale kicked things off with a buzzer-beating win over Connecticut and Brown followed shortly afterward with a stunning upset of crosstown rival Providence. While the victories over high major programs stopped there, the solid performances didn’t. Princeton led California for 30 minutes before falling by 10, and Columbia hung with Connecticut deep into the second half until the Huskies buried enough threes to put the Lions away. All of this was done without help from Harvard, which had its best shot for a “name” win at Arizona State, but fell by 10 after only mustering 18 second-half points. Harvard (8-3) – Heading into the season, many outlets debated whether this year’s edition of the Crimson would be the best Ivy team in the modern era. On the defensive end, that may very well end up being true, as Harvard has cracked the top 20 nationally — an honor that only Penn’s 2004-05 team and Princeton’s 2009-10 squad had been able to achieve before it. Offensively, though, the Crimson are dangerously close to posting the worst efficiency ranking since Amaker’s first year on the job. With seven of its next eight Division I games on the road, including six league match-ups, Harvard has to find the right combinations of personnel to solve its offensive woes or it could be out of the Ivy race before even getting to the favorable portion of the Ivy slate. Yale (10-5) – The ugly home loss to Albany likely torpedoed the Bulldogs’ at-large resume, but it shouldn’t remove too much of the luster from a non-conference campaign that was quite strong even before Yale’s overtime loss to Vanderbilt. Looking ahead, though, the Bulldogs have been built to match up with Harvard, as shown by their split last year and two losses by a total of nine points last season. The biggest concern for Yale has to be its turnovers, as it has given the ball away on more than a quarter of its possessions in five of its 14 Division I games thus far this season. The good news for the Bulldogs is that a shockingly low percentage of those have been live-ball turnovers, meaning that Yale has mostly avoided giving its opponents high-percentage transition looks. Columbia (7-5) – The Lions have done a fantastic job holding things together after All-Ivy forward Alex Rosenberg announced he would have to miss the year with a foot injury. The cracks are starting to show just a bit, however, primarily on the defensive end. 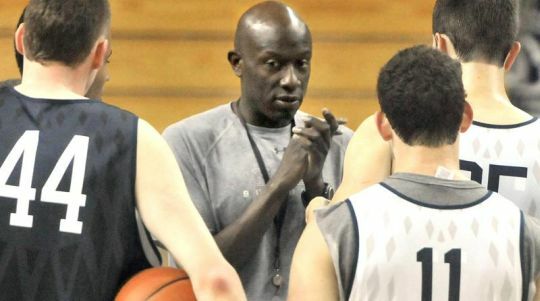 Coach Kyle Smith has had a top 20 defensive rebounding unit every year since arriving at Morningside Heights, but this season Columbia ranks right around the average nationally. Combine that with the team’s usual low turnover rate forced, and you get a Lions squad that is struggling to generate consistent stops. Columbia’s last three opponents have had their best, second best and third best offensive efficiency outputs of the season against the Lions, which could be an ominous sign heading into a tough Ivy League. Princeton (5-9) – Opponents have finally begun to shoot a reasonable rate from three-point range, and the Tigers have begun to turn things around a bit. Princeton still has struggled mightily establishing a foothold in the paint, as it ranks nearly last in offensive rebounding and gets 13.5 percent of its two-point attempts blocked (319th nationally). If Denton Koon can return from his MCL injury by the start of Ivy play, as was initially reported, he should be able to provide the Tigers with the offense around the basket that they so desperately need. On the other end, if Princeton can’t stop the constant parade to the free throw line, it’s hard to imagine its defense being good enough for long enough to make much noise in the Ivy race. Cornell (6-8) – Nothing captures the true essence of the Big Red better than the fact that Bill Courtney, a disciple of the “Havoc” defense, is currently enjoying his best defensive season despite his team turning opponents over at a rate that ranks 325th nationally. The vast improvement over last season has been triggered by a drop in shooting percentage allowed by nearly 14 percentage points. The problem is that shooting percentage tends to moderate over the course of a season (right now, 44.6 percent effective shooting allowed ranks 56th, but it would be top eight in each of the last five years historically), putting more of a premium on generating stops (turnovers and defensive rebounds). Cornell’s defense has carried its inefficient offense to this point, so if the former starts to slip, so might the Big Red. Dartmouth (6-6) – Could the Big Green sneak into the postseason this year? With the most likely expectation being a 7-7 non-conference campaign, all it would take is a 7-7 run through the Ivies to finish at .500 and a top 200 RPI, according to RPIForecast.com. Dartmouth has a couple intriguing wild cards that have given it a nice boost in December. John Golden returned from injury to take on a bulk of the workload at the third guard spot from which Dartmouth had struggled to get consistent output. Reserve point guard Malik Gill has always been a steals machine, but now he is doing enough to facilitate the offense to stay on the court for stretches, despite his career shooting percentage that sits in the 30s. Like its travel partner Harvard, Dartmouth starts with five of its first six Ivy dates on the road, but if it can survive that stretch, it could be looking at needing a reasonable finish for its first postseason appearance since losing to West Virginia in the opening round of the NCAA Tournament in 1959. Brown (7-7) – Live. Ball. Turnovers. On average, Brown yields a whopping 9.5 live ball turnovers per game with roughly six of those ending up at the rim and 4.5 getting turned into an easy two points. That’s roughly three more live ball turnovers per game than the national average and when you factor in the lost opportunity on the offensive end that this represents, it’s costing the Bears about 4-5 points per game. That may not seem like a lot, but it’s the difference between Brown’s current ranking of roughly 225 in the Pomeroy Ratings and a slot in the 130-140 range. The latter would be a darkhorse contender in the Ivy title chase, while the former is a longshot even to see the league’s upper division. The turnover rate issues are the most evident manifestation of how much the Bears miss All-Ivy guard Sean McGonagill, who graduated after four outstanding years at Brown. He was the outlet for every woebegone Bears possession last season – an outlet that Brown has struggled to find since. Penn (3-7) – Speaking of turnovers, the Quakers are actually turning the ball over two more times per 100 possessions than Brown is. Those giveaways are masking an offense that is the second-most efficient in the Ivies on possessions not ending in a turnover. While that indicates that the Penn offense has a lot of upside potential, hoping for the turnovers to disappear magically is pretty foolish for a team that hasn’t ranked better than 329th nationally in turnover rate since Zack Rosen carried Penn to within a game of the Ivy title in 2012. Even if the offense improves, the Quakers have a long way to go on the other end of the court as well, ranking at the national average or worse in every relevant defensive category except steal percentage and shaping up to be Jerome Allen’s worst defensive unit since taking the reins at Penn in 2010. Kentucky 56, Columbia 46 – The only team to play the Wildcats closer than the Lions did thus far was No. 5 Louisville, and no one has come closer to knocking off Kentucky at Rupp than Columbia. Kyle Smith’s game plan was brilliant, as the Lions kept the game to just 51 possessions and allowed the Wildcats to take as many jumpers as they wanted. Ultimately, Kentucky’s prowess on the offensive glass saved it, as the Wildcats grabbed nine of 10 available offensive rebounds during a 19-5 second-half run that turned a three-point deficit into a commanding 11-point lead it would never relinquish. January 6 – Stony Brook at Columbia, 7:00 PM, Ivy League Digital Net – Columbia’s final Division I, non-conference game gives it the opportunity to avenge its first loss of the season, in which it squandered a five-point lead with under two minutes to play to lose to the Seawolves by one. A win could give the Lions as many as three non-conference Top 100 RPI victories, something which could bolster its postseason profile come March. January 10 – Penn at Princeton, 5:00 PM, Ivy League Digital Net – Last year, an upset at the hands of the rival Quakers to open Ivy play sent the Tigers into a tailspin, as Princeton stumbled to an 0-4 start from which it never recovered. With five of its first seven league games at home, the Tigers are looking for a hot start this year. Despite Penn’s recent troubles, the Quakers have almost always managed to give Princeton far more than it bargained for, and if Penn can hang onto the ball, it could muster enough offense to put the Jadwin faithful on edge for 40 minutes. January 10 – Harvard at Dartmouth, 7:00 PM, Ivy League Digital Net – The Crimson hasn’t dropped a game in this travel partner series since 2009, but that vastly overstates the dominance Harvard has shown over that span. For instance, despite getting the home-and-home sweep in 2013, Harvard trailed by 5 with under nine to play at Dartmouth and then saw itself down 13 with under four to play at home two weeks later. 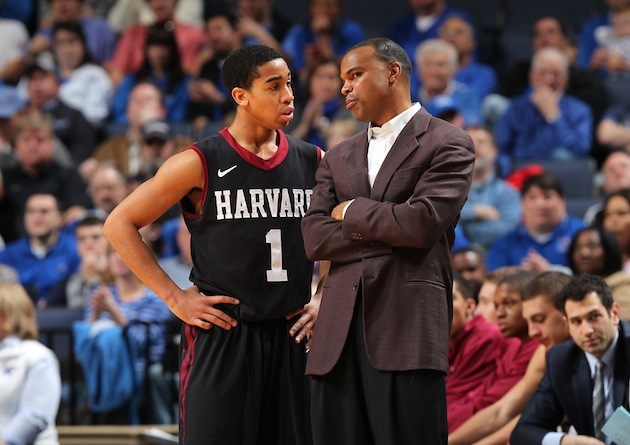 Given that this is the best Big Green team that the Crimson has faced in the Amaker era, expect a thriller that will provide a strong first test in Harvard’s Ivy title defense. This entry was posted on Sunday, January 4th, 2015 at 11:01 am by Michael James (@ivybball)	and is filed under checking in on, microsites, other 26. Tagged: brown, columbia, cornell, dartmouth, harvard, ivy league, james jones, penn, princeton, siyani chambers, tommy amaker, yale. You can follow any responses to this entry through the RSS 2.0 feed. You can leave a response, or trackback from your own site.